Bun Tharum is a freelance journalist, blogger, and digital media specialist. 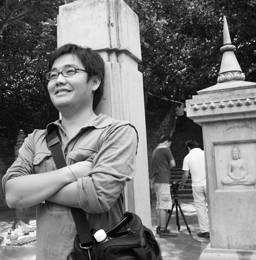 Blogging since 2005, he’s been a contributing-writer for Global Voices Online, Asian Correspondent, and several other print publications. His main interests are information and communication technologies for development and online media. Tharum’s base is Phnom Penh, Cambodia’s largest capital city.